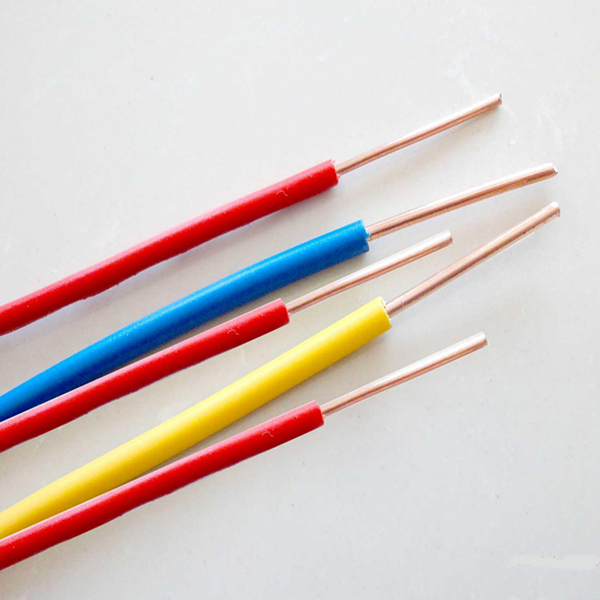 Safe, durable electrical connections begin with clean, accurate wire stripping. Removing the outer layer of plastic without nicking the wires underneath is critical. If a wire does get nicked, the connection may break or an electrical short may occur. A simple manual wire stripper is a pair of opposing blades much like scissors. There are several notches of varying size. This allows the user to match the notch size to the wire size, which is very important for not damaging the wires. 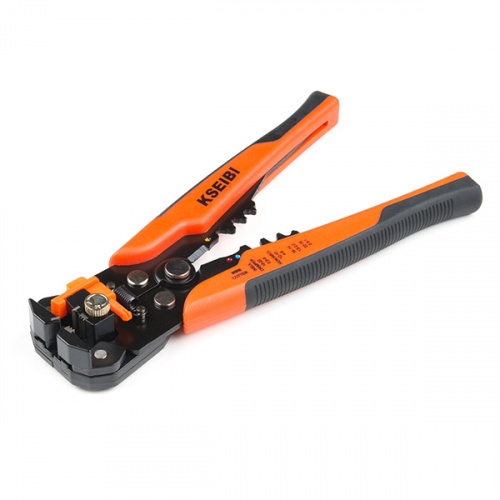 Depending on the manufacturer, there may be additional features that include a locking mechanism, have an ergonomic handle, and the ability to cut screws. Warning: Many wire strippers found at the hardware store do not strip small gauge wire (22 to 30). 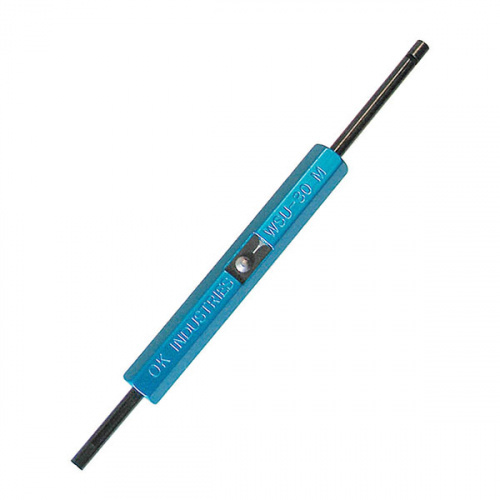 When getting into prototyping, be sure to get a tool that is capable of stripping 22 AWG and smaller. Being able to strip very small 30 AWG wire (also known as wire wrap wire) is a plus. Although a knife would also strip the wires, it may also damage the wire by nicking the metal or cutting into it. Using a knife to strip wire is also really dangerous! The knife can easily slip and cause wicked injuries. There are also self-adjusting wire strippers that automatically strip the wire by placing a wire in the middle of the teeth and squeezing the handle. These take almost any wire and perfectly strip the wires every time. Depending on the manufacturer, there may be additional features included to cut or crimp insulated/non-insulated wires. 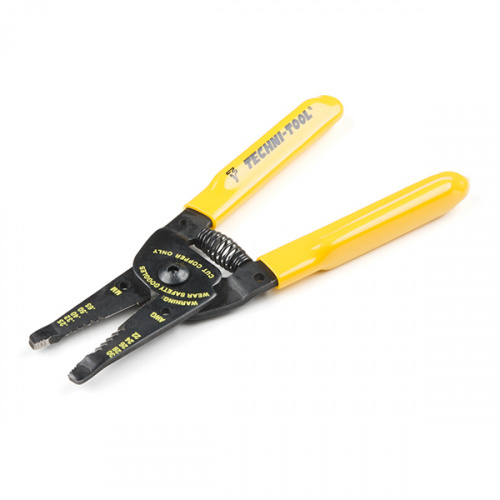 Note: We have found that the self adjusting wire stripper tool is very useful when modifying EL wire. Simply place the EL wire in the middle of the teeth and adjust the knob to reduce the grip on the wire. Make sure the corona wires are not directly under the teeth when stripping the wire. If you are using a wire wrap tool to wrap a wire around a pin, there may already a built-in stripper blade in the middle to strip the thin wire. Simply place the wire between the blades and pull. 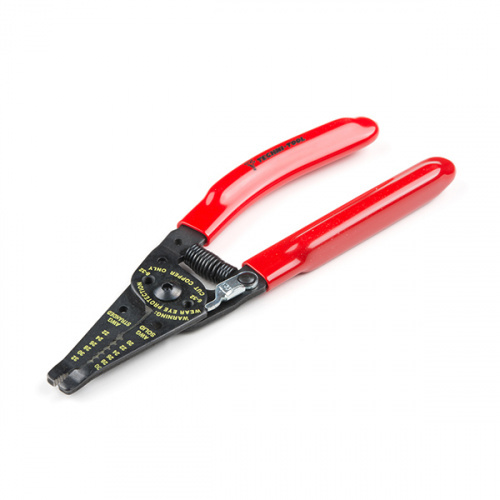 By simply squeezing the handles of a manual wire stripper about 1/4" from the end of the wire or the desired length, using the correct notch on the tool, and then twisting it slightly, the insulation will be cut free. Then by pulling the wire strippers towards the end of the wire, the insulation should slide right off of the wire. It is important to match the size of wire to the correct notch in the stripper. If the notch is too large, the wire will not get stripped. If the notch is too small, there is a risk of damaging the wire. Using an undersized notch means the strippers will close too far, digging into the wire underneath. With stranded wire, the tool will cut off the outer ring of wires, decreasing the total diameter of wire and reduce the strength of the wire. A nick in solid core wire will severely reduce the strength and flexibility of the wire. The likelihood of the wire breaking upon being bent increases significantly. If a wire does accidentally get a nick in it, the best plan of action is to cut the damaged part of the wire off and try again.